This prequel ran last year on April 1. Thought I'd post again. Cheers! The couple struggled through the revolving door. No bellmen were to be found, so I joined the pair and helped them heave their overly large suitcase through the creaky spinning entrance. I twirled and caught sight of my brothers running toward the 500 Dip Bar. Hmm. That can’t be good. Then I spotted someone waving at me through the hotel’s back entrance. “You busy?” He placed his hands in the backpockets of jeans, waiting. “Busy? Oh no. I’m just hanging around the lobby in this costume doing nothing whatsoever.” My outfit was something a little too “My Fair Lady,” though happily it was the outfit Eliza wears around the library with Professor Higgins and not the one she swans about in at the racetrack, which was gorgeous but far too puffed-of-sleeve for everyday wear. In the distance, Bo yelped a happy yelp. Hmph. So that’s where they were running to. Sneaking into the motel via the 500 Dip Bar and the secret passage into the motel’s diner, hoping to evade my notice. “Will this take long? I mean. Like.” I glanced behind me at the lobby. Guests were busy, employees were bustling, and I stood by the back entrance in a high-necked Victorian costume, furtively whispering at the man next door about nothing in particular and wondering what nefarious doings my brothers were up to at the motel. With one more over-the-shoulder glance, I slipped out of the hotel and met Monty under the citrus topiaries. I didn’t accept his offered, “join me” hand, but I did follow him around the pool and toward my brothers’ voices. They stood outside Room 106, prancing and jumping and burning off energy. As was Montgomery Y. Overbove, a person twice their age but with no less of their joie de vivre. “All right, gentlemen, ready? Let’s have some noise!” Monty stood as straight as a movie lobby standee and held up a high five. Two smaller hands quickly met his with great slappy-sounding slaps. 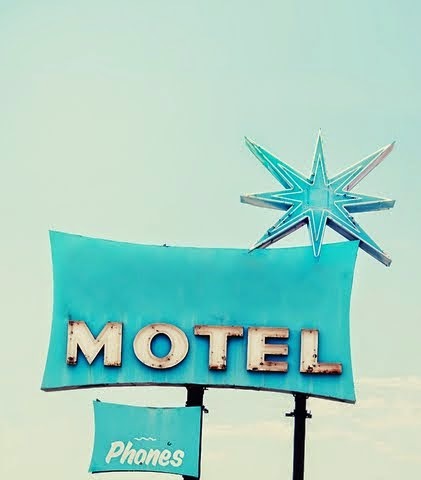 I peeked inside the worn motel room, with its chipped enamel lamp, thin curtains, and mocha-colored carpet, a carpet that balded the closer it got to the walls. The queen-sized bed was completely free of any sheets. Wrinkling my nose, I yawned a theatrical yawn. “Really, I have to get back. Geez. Look at the time.” I glanced down at the invisible wristwatch on my bare wrist. A half second later, a forearm appeared next to my arm, and on it, a real wristwatch. “Let’s do this!” clapped Bo, emulating Monty to a T.
“So, Fair. Do you know what a Special Room is?” Monty waggled his eyebrows. “Fair, do you know how to short sheet a bed? Scratch that. Have you ever made a bed? Not in your head. Here, in the world.” He spread his hands to all of reality. “Yippee!” called my brothers, running into the room and jumping on the bare bed. “Childhood 101,” protested Monty. “Hey Finleys. Hands in. Now.” The motelier beckoned my shiny-faced brothers to the edge of the bed, where they stuck their flattened hands out. Monty placed his hand in the circle, then quickly raised it. “One two three go team!” My brothers, wide-eyed, raised their hands, too. “Firework fingers,” said Monty, demonstrating how to properly close a get-fired-up movement. “Did you one two three go team without me?” Gomery stood in the doorway and made a sad face. He placed the two pillows he’d returned with on the bed. “Aw man! Okay, again. Don’t forget the firework fingers, Finleys. The magic of teamwork doesn’t take without the ending flourish. Science fact.” Monty put his hand out. My brothers excitedly followed suit, then Gomery. “Fair,” said Wil, nodding at the hand pile. Two small boys and two young men and one Fair Lady summoned team spirit and then turned to the age-old, highly important task of short-sheeting a bed. “It’s the Special Room,” said Gomery, handing me a pillowcase and indicating I should open it. He picked up a pillow but forewent placing it under his chin as he slid it into the pillowcase. I handed him the squishy rectangle. He fluffed it, tossed it onto the dresser, and handed me the other pillowcase. Together, we squished the second pillow into its case and mutually fluffed it with far more gusto than a small pillow requires. Brain folder opened, mutual pillow-squishing stored. Label? Pure Pleasure. “Won’t the guest be mad? They got tricked?” I was dubious. “They all want that room,” I said, nodding. “They all do,” confirmed Gomery, smoothing his tie. Wil and Bo stood rapt, listening to the adults discuss the psychology of Special Rooms, short-sheeted beds, and April Fools’ Day. Then my little brothers checked over the bed once more, giggled, put their hands together and had an intra-brother one two three go team. With that, they skipped out the door. “Thank me later,” Monty waved, blushing. We stood staring at the deceptive bed. Out the door, in the near distance, someone splashed in the pool. Monty strode out of the room. “And don’t tell her that the next time we summon her for something random the reason’ll likely be fabricated, on the spot, that morning, as we congratulate ourselves on being crafty.” He twirled an invisible mustache. “You’re not buying new towels.” I cocked a brow. “Are we colluding?" I whispered, staring not at his eyes but the freckles just above and below his division sign mouth. “Damn straight we're colluding," Gomery whispered. "One two three go team." I thumbs’d-up him. The devious plotter beamed and returned to the diner, clearly smug that his next clockwork scheme had been set in motion. The man next to me, the very person who had slipped me the key to that particular clock, and the plan's secret schematics, too, grinned, put a “shhh” finger to his lips, then turned and strode into the Motel Fairwil lobby. Gomery's color was notably high and his spirit satisfied, like mine. Two fools.